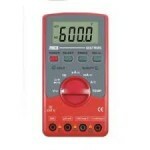 Buy online DT830D Multimeter in India at low cost from DNA Technology, Nashik. 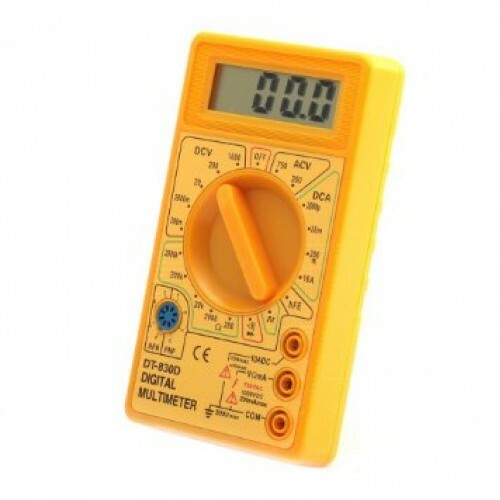 If you are just starting learning electronics and you are looking for low cost multi meter then this is it. 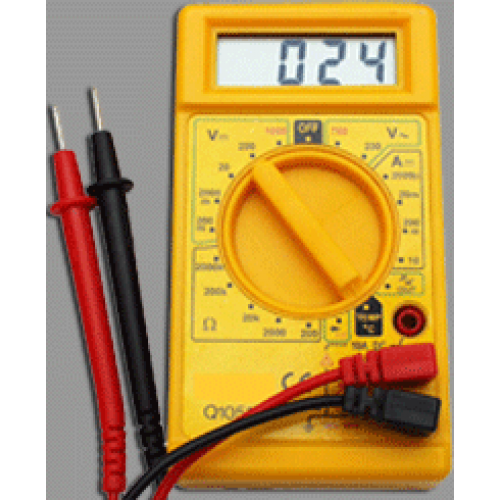 The is the most common, low cost and easily available multimeter in the market. 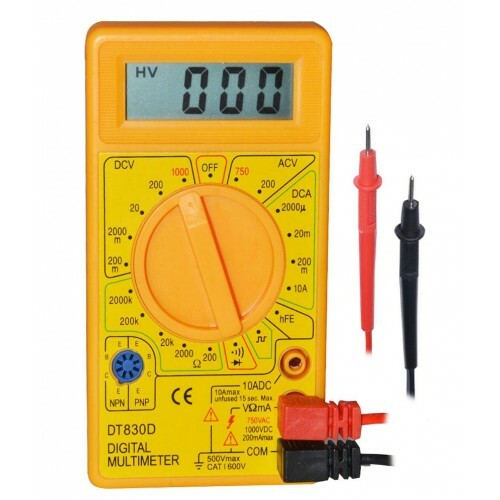 The DT830D Digital Multimeter is a very affordable and handy piece of test equipment. It features an easy to read 3.5 digit LCD display. It is equipped with 5 functions and 19 ranges, each test position is quickly and easily selected with a simple turn of the single selector switch.It also has a built-in diode test and transistor test feature. There is a buzzer for continuity test. 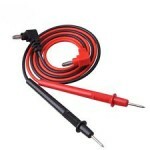 This meter has a replaceable 0.2A/250V fuse accessible via the battery compartment. 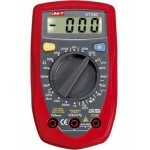 Multimeter UNI-T UT33DIf you are a fresher in electronics & looking for low cost multimeter then..
Multi-meter ProbeA test probe is a physical device used to connect test equipment to a device under ..
Digital Watt Power Meter This is a compact four in one Digital Power meter. It displays Voltage..
Digital Multimeter MAS830LDigital multi-meters are widely used for measuring voltage, current, resis..
Meco 666-TRMS Digital Autoranging Multimeter MECO 3-1/2 Digits Auto-ranging Digital Multimeter ..
USB Charger DoctorThis is a low cost very small handy device for all IoT developers. This device goe..